While the final tallies are not in for the Hoboken election and the BoE race, one Move Forward candidate has conceded and the finger pointing among the Old Guard has begun. People are angry and bodies are flying right under under the Nazi Truck. well known suspect connected closely to its operator. Based on a story today by Grafix Avenger, the damn has already broken and the chatter is bitter, angry and despondent for the waste of time, energy and money that went into attacking her, MSV and extraneous folks such as council members Peter Cunningham, Jen Giattino with the mayor. 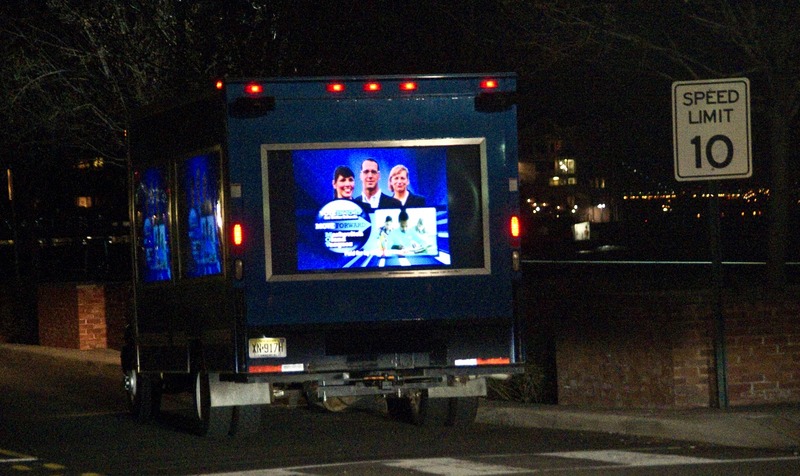 Grafix Avenger lays out all the guts and innards of the Old Guard saying the hands on Nazi Truck coordinators were Beth Mason's long time fishy political operative James Barracato and the person making the rental arrangements Move Forward co-campaign manager Joe Branco. None of this comes as a surprise to MSV. Last night seeing the Move Forward TV commercial blasting away as the truck drove around uptown was nothing more than confirmation of what was detailed here from the beginning. People should note the only denial by Beth Mason in using her allowance money to underwrite the Nazi truck's expensive video productions came via an anonymous political operative's denial to the Hudson Reporter a week back. Not exactly a full-throated proclamation of innocence by Beth Mason was it? Maybe some folks should take note of that and ask why she's allowed to behave in such an abysmal fashion. Okay here's the insights into the full sordid details of the Nazi Truck and its five visits to Hoboken. While Da Horsey was a star in two of the five visits that proved no bother unlike the assault on Washington Street, Grafix Avenger details more on all of it and a recording of the attack which we've been legally advised not to release here.